People are always looking for new ways to keep their house clean and pest-free. At Northwest K9 Bed Bug Detectives, we’re always on the lookout for new tools and methods for keeping your home clean and pest-free. With all of the advances in science and modern technology, we can understand more about our world than ever before, and that included bed bugs. Although you may not want to understand them and only want them to steer clear of your house, the more we understand them, the better job we can do of removing them from people’s homes. With every new advance, our bed bug treatment in Seattle becomes better. According to a recent article from Popular Science, researchers at Simon Fraser University in British Columbia – our friendly neighbor to the north – have developed a new bed bug trap that uses pheromones to attract bed bugs to a certain location in the home. While this trap can prove effective, it still remains to be seen how effective it will be. If the pheromones work and they attract a large population of bed bugs to a certain area, there still may be bugs that elude the trap and find refuge elsewhere in your home. We love that scientists are still working on new and innovative ways to keep people’s homes bed bug-free, but only time will tell if this trap is an effective answer. When you need bed bug treatment in Seattle, please don’t wait any longer than you have to. 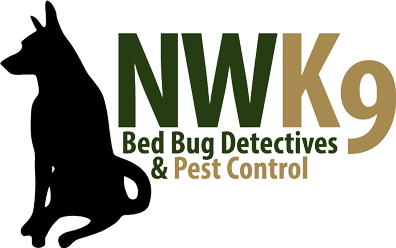 The team at Northwest K9 Bed Bug Detectives is always ready to put our knowledge and tools to use for you and your family.